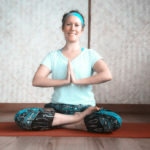 Nicola of Inspire and Rewire has returned from maternity leave and created this yoga class especially for those who need a gentle restorative experience. What is Healing and Restorative Yoga? This class is for everyone looking for a more meditative yoga but is especially good for those with chronic fatigue, injuries or arthritis who want to restore their health without pressure or overstraining or those simply looking to take life's pace a little slower. Yoga will be slow and gentle with the essence on healing the mind, body and soul. Having experienced anxiety and fatigue herself Nicola knows what to look for in a yoga class and feels it’s all about getting the right balance between a little gentle motivation and stopping when you need to. Sometimes to heal all we need to do is create some space, no agenda, no rushing, no deadline. To check if there is space on the class go to the booking page (link below). You can only book on a class which has spaces, so if a particular week is not showing up, the class is full.